These 3-in1 Facial Wipes from Faith in Nature are naturally mild and soft and will cleanse, moisturise and remove make-up gently and easily. They have a specially formulated pH balanced blend of natural essential oils on 100% viscose substrate to ensure effective cleansing without synthetic chemicals whilst moisturising, refreshing and toning the skin. The wipes are 100% biodegradable, hypoallergenic, paraben and alcohol free, NO SLES and contain Vitamin C, Allantoin and Organic Aloe Vera. 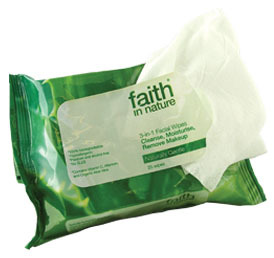 The Faith in Nature 3-in-1 Face Wipes - Pack Of 25 product ethics are indicated below. To learn more about these product ethics and to see related products, follow the links below. These are a repeat purchase because they suit my sensitive skin which is prone to redness. No need to take bulky cleanser & toner on holiday, just use these. Good value for money. Gentle on skin but also very good at cleaning, preventing blenishes and removing make up. No hidden 'nasties' here and the added advantage that the facial wipes are biodegradable, unlike many similar products on the market. An excellent product. 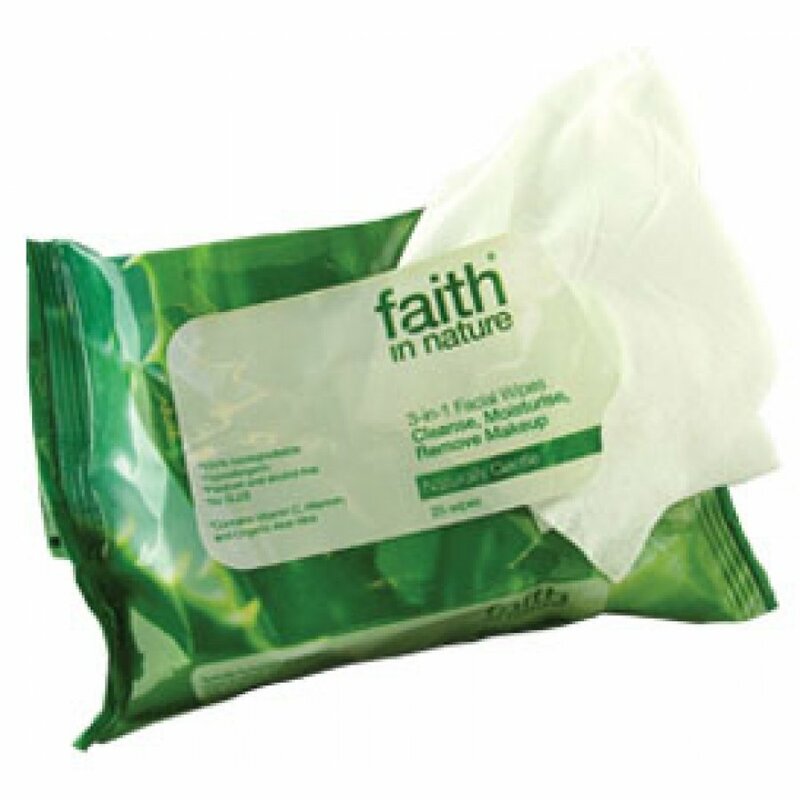 There are currently no questions to display about Faith in Nature 3-in-1 Face Wipes - Pack Of 25.